Last week I finally got the photos developed from my Diana Mini camera. There is something so exciting about collecting actual prints, not quite knowing how they will turn out, or even what they are of when taken over a long period of time. I've been using it over the summer, taking it out and about as a change from my 'big' camera! It's so nice to take something so light and small along. I loved playing around with multiple exposures and overlapping images, like this one of Archie above, playing in the sand. And the one below of Elizabeth at the beach, double exposed with a floral background. I chose to stick to square images, but you can also switch to half frame, giving you 76 photos per roll of film. You can see more on the lomography site here, and more inspiration on Flickr here! 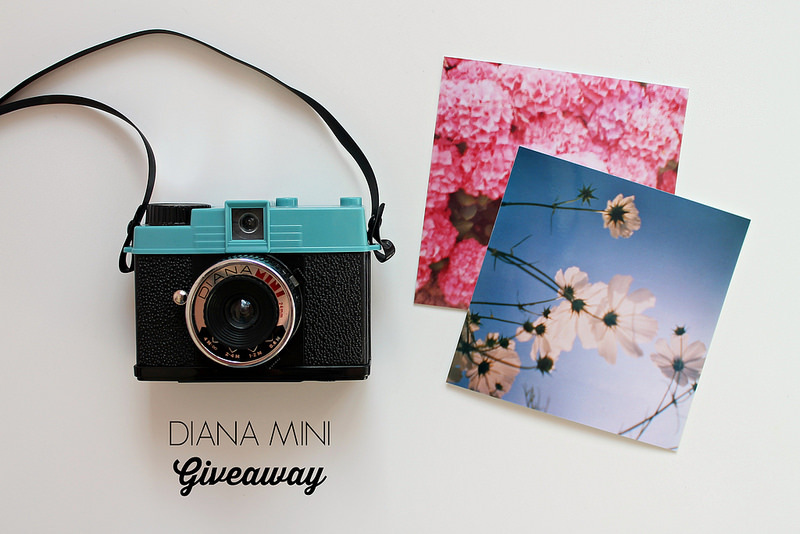 I have another Diana Mini to giveaway! The camera comes with a little 'shoot forever' book, full of ideas and inspiration. To be in with a chance of winning just enter below. Congratulations Courtney! If you could email me your address and I'll pop it in the post to you. Hi! I love these pictures, the black one with the flowers in the background is really beautiful! I'd love to take good pictures. I usually use my phone now, it's useful but I'd rather use a real camera! This looks like the perfect camera to carry with you wherever you go to help capture life. lovely pictures, especially the overlapping one taken at the beach. love your photos, especially the floral ones (of course)! Oooh I've been wanting a camera from Lomography for a while! oo oo oo oo oo I am liking the lookie of this a LOT! loving the look of these photos..
ahhh! this would be great! Really lovely photos! I have my Mum's old Pentax camera and occasionally snap a photo. I can't wait to see how the roll turns out once I get it developed - you're right, there's nothing quite like it! wooohooo just found your blog!!! So happy to connect! I love taking photos and I'm inspiring Photographer!!! I am so glad I clicked this because this camera is too cute! I am just a grandmother who would love to take some great photo's of the little ones so thank you so much for the opportunity! Me and my husband both love to photo shoot. always share the result. love the camera can capture the cherish memories. This is such a lovely gift, thank you so much for hosting this giveaway! wow! this camera looks awesome :) thanks for the chance! Super giveaway! I love the oldschool pictures. This is such a cool camera and your pictures are amazing! Thank you for the chance to win! Cute camera,i love to win it! i would so love to give this camera a whirl! Love all your pictures. Awesome giveaway! would love to win it! thank you. Awesome Camera! Thanks for the giveaway. Lovely photos! Thank you for the giveaway! Nice giveaway! I hope Iwin it! It's been a long time since I took pictures with film. Always a surprise to see what images emerge. Multiple exposure gives an interesting effect doesn't it? Oh wow! Your pictures look amazing. There is something very special about shooting on film, and the camera is so adorable. Thanks so much for this giveaway! Lovely photos.love that little Diana,so cute and retro,thank you for the chance to win it. wow amazing camera! Your pictures are so good! thanks for the chance! Oh wow!! Such a lovely giveaway! I've been wishing for this for so long. 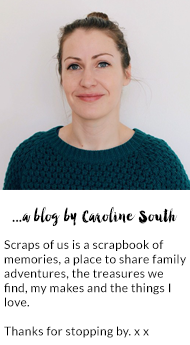 Thank you Caroline for the lovely chance & Kudos to your beautiful blog! Godspeed! That's an amazing giveaway! I am so in love with lomography so this gift is perfect perfect perfect!!! I know my oldest daughter would get a lot of use out of this. She loves to take pictures and mix up the shots. She is pretty creative. Awesome giveaway! Thank for a chance! Keep my fingers crossed! I love your ethereal style and am enchanted by the idea of owning a mini-camera to capture my own magical images. Thanks for the chance! This is just such an adorable camera! Love the pics. ALONA Y. Nice pics! Thanks for this chance. Im new on you blog and very happy to follow your beautiful world. Nice photos.I wondered if you had the newsletters. adorable camera! your photos are beyond lovely, thank you! Thanks for this giveaway. The camera looks great. I would love to win this to carry with my so that I never miss a priceless moment again. I love the pictures. This camera is awesome as well. This camera is really cool. Fantastic Blog, this camera is superb - thank you very much for the competition. I would love to have this camera, it would be so fun to play with the double exposure. Thanks for the giveaway. Photos are really nice and impressive to say the least!